dutch designer sabine marcelis has transformed this circular spanish villa into large-scale timepiece for watch brand a. lange & söhne’s. the project, entitled ‘24 hours’, takes advantage of the site’s 45-metre-wide footprint, its rounded blueprint and the vast presence of light. 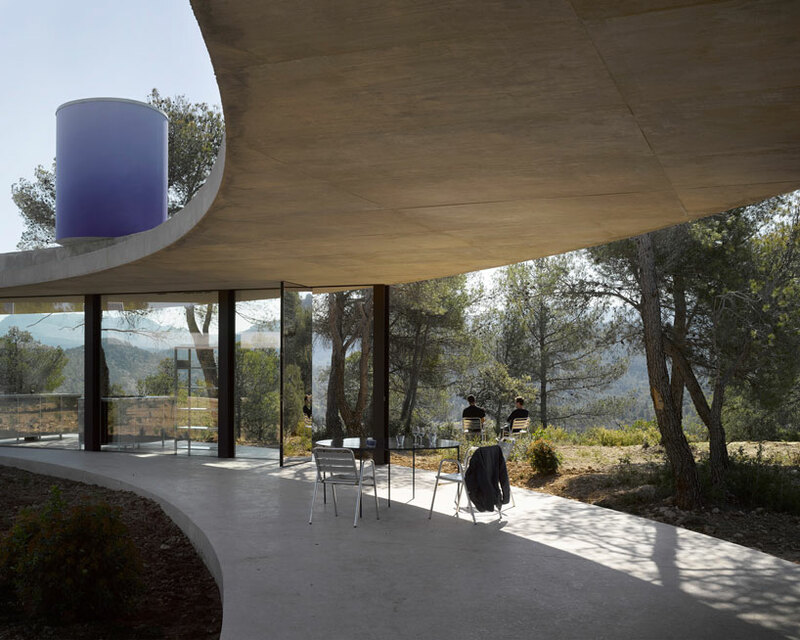 designed by belgian architects kersten geers and david van severen, the spanish villa is one of 15 solo houses, an on-going project in matarraña, south of barcelona, inviting international young architects to design and create contemporary small resort-prototypes. a simple circular roof with a diameter of 45 meters functions as a shelter, and forms the perimeter of the inhabited surface. it is supported by four straight rows of eight columns, which cut chords from the circular base shape. 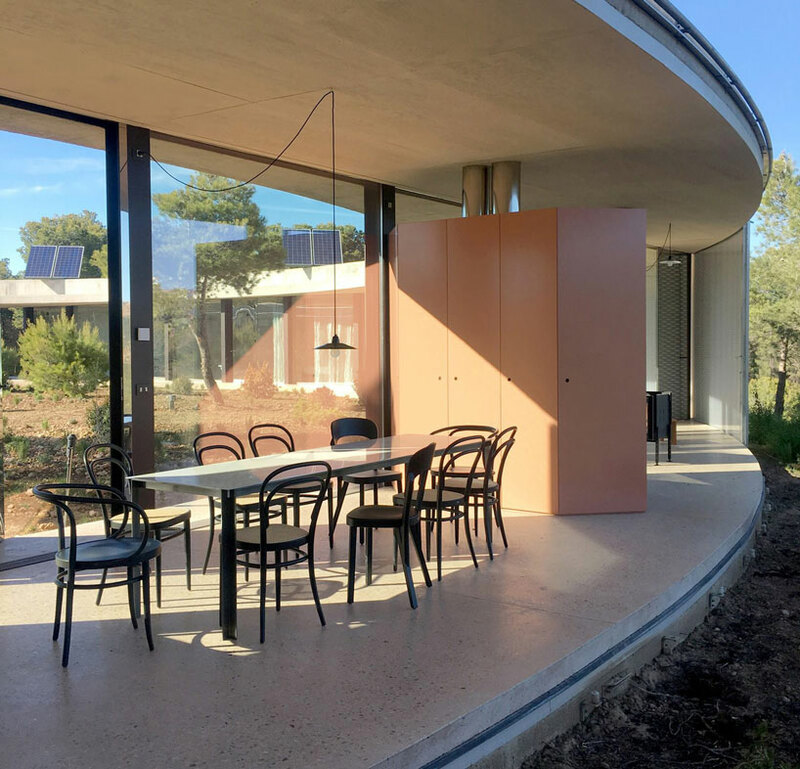 solo house II, which opened its doors to guests in june of last year, frames the top of a plateau, overlooking the surrounding forests and dramatical landscape. 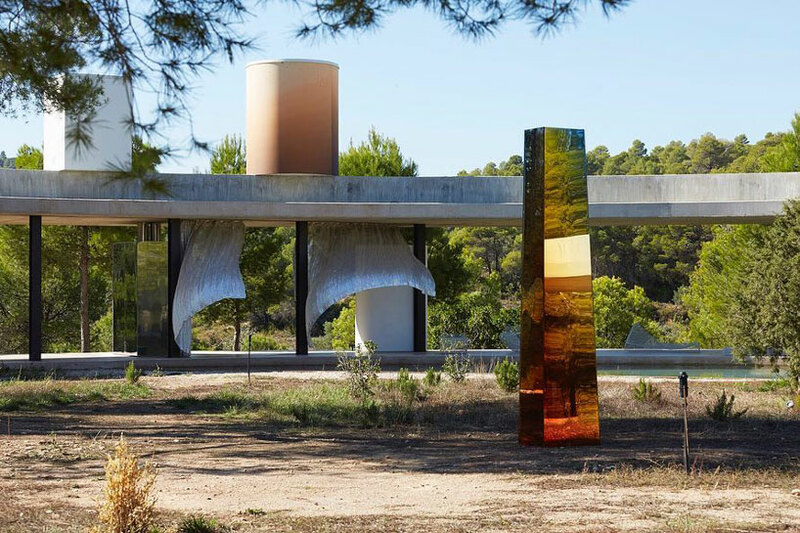 the house is lined with mostly glass exterior walls which offer panoramic views of the landscape, while a sliding metal mesh façade creates dappled shade inside the villa or privacy when closed. 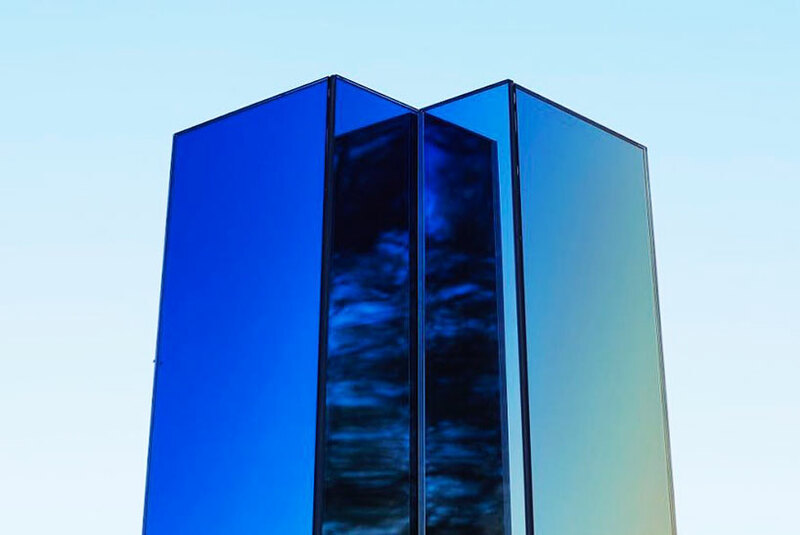 ‘since the scenery is so impressive, we felt architecture should be invisible, merely emphasising the natural qualities of the surroundings,’ says the practice. 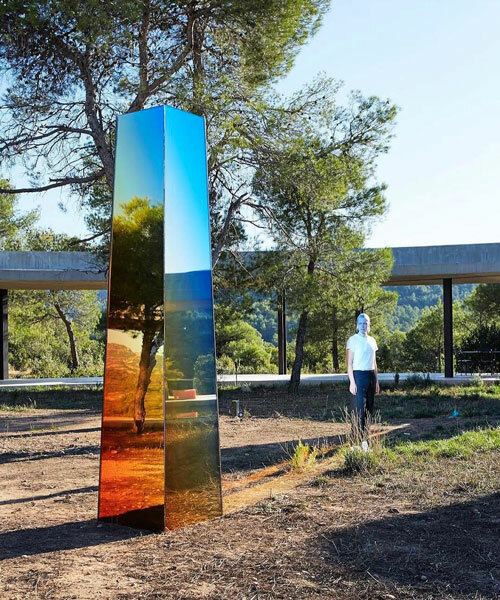 sabine marcelis, known for explorations and manipulations of light and colour, exploits the circular layout of the site by installing a mirrored obelisk made of colored glass. 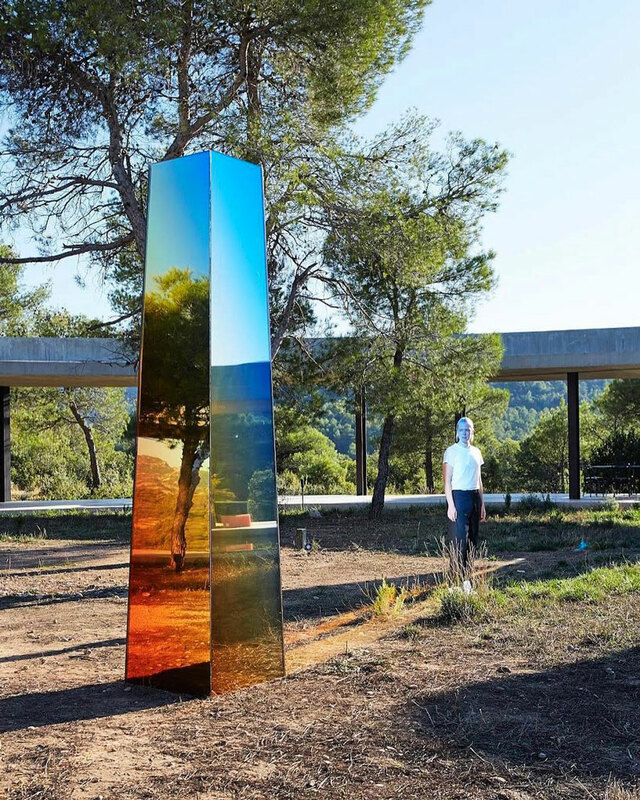 in doing so she creates a giant sundial which casts varying gradients of yellow and blue onto the soil. as reported by the spaces, the installation celebrates the german watchmaker’s datograph UP/down ‘lumen’ and has been realised in collaboration with open house magazine and boudais’ solo galeria.